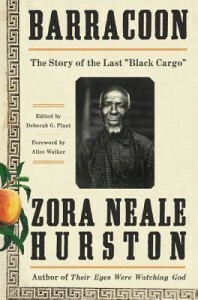 Barracoon: The Story of the Last “Black Cargo” is immensely important because it presents a first-hand narrative of the last-known survivor of the transatlantic shipment of Africans to the Americas and because it gifts the reading world with a lost work of Zora Neale Hurston's. Barracoon is an important work as any historical record, particularly one that lacked an abundance of first-hand narratives, should be. But Barracoon is just that: a historical record. Sure, it is written in the dialect, but it's ultimately the record of the life of Oluale Kossola (renamed Cudjo Lewis; I prefer to use the subject's given name). 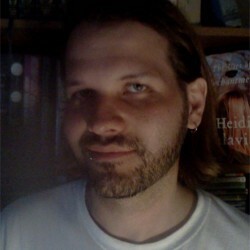 Most readers are probably eager to hear Kossola's perspective on his life in Africa and his forced journey to America. This was my primary want from this narrative. Unfortunately, it becomes clear far too soon that Kossola is an old man trying to resurrect memories that are seventy years old. His memory of slavery in America is more than sixty years old. I've only lived half as long as Kossola did, but already my childhood memories have begun to jumble and I cannot help but question some of what I clearly recall. I have no doubt that Kossola's recollection was accurate in some regards, but surely some of those memories had grown fragile and corrupted with time. It's also too evident that he views his upbringing through a lens of Christian teaching, which casts much of it in a negative light. Much of this narrative is about Kossola's life post-slavery. And while this is important and interesting, it presents little new to anyone who's familiar with life in the South for former slaves. Perhaps most interesting are Kossola's records of the Clotilda and some of the finer details of living in Africatown. Barracoon is not the eye-opening riveting story I hoped for, but I'm still glad that it was published and that I had the opportunity to read it.